Loves going out and about in Canberra and writing about her adventures! Also addicted to coffee, high teas, escape rooms, and dressing up. Songbird, the half girl, half bird, all superhero, is back! And this time, she's got the Great Barrier Reef to save! 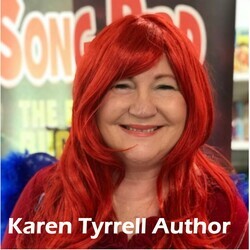 Songbird is the acclaimed children's series by award-winning Brisbane author Karen Tyrrell. It centres on an incredibly endearing and courageous girl, Rosella Ava Bird, who discovers her superpower-singing-and becomes Songbird, the half girl, half bird all superhero. Songbird's adventures have so far involved her defeating the evil boy genius Frank Furter, saving Gondwana Rainforest, and saving the world's bees as well as her sister, Raven. But now Songbird has the Great Barrier Reef to save in Karen Tyrrell's latest enthralling adventure. Songbird and her friends arrive on Green Turtle Island where weird things are happening. Marine creatures are dying, and then her friends disappear. Songbird travels through a time portal to unlock a secret. Can Song Bird rescue the Great Barrier Reef before it's too late? Karen's focus on the Great Barrier Reef is something that is very close to her heart. "I've always been an environmentally conscious person and I'm an avid fan of David Attenborough's Blue Planet series," Karen tells me. "When David pleaded, 'The Great Barrier Reef is in grave danger. It's time to step up.' I took his challenge seriously, writing my eco-adventure, Great Barrier Reef Rescue. The reef's future lies with us all, and it's our children that will miss out. My family visits the Great Barrier Reef regularly, snorkelling with giant green turtles, stingrays and Maori wrasse amongst a garden of technicolour coral. I want future generations to enjoy the reef experience for many years to come." While Songbird 4 is an exciting, engaging adventure that kids will love, it also has a very serious message like the other Songbird books. "I want children to better understand the situation facing endangered marine creatures and the coral reef," Karen says. "I want them to know how they can contribute in taking action with practical ways to care for the reef and endangered sea life." Songbird is the imperfect superhero who faces incredible odds and yet manages to reach her goals. Karen says that she gets very inspired when she visits schools. "Kids really get Song Bird Superhero, she's the bullied girl who becomes an empowered eco-warrior, who protects the environment," she says. "Boys and girls are very aware and concerned about environmental issues like climate change and pollution. 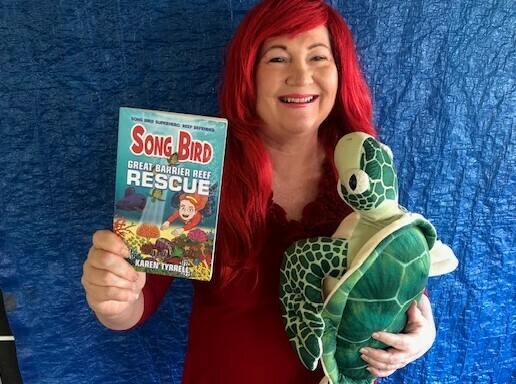 Song Bird is a Superhero children respect and my heart explodes when some students dress up as Song Bird Superhero in Book Week." 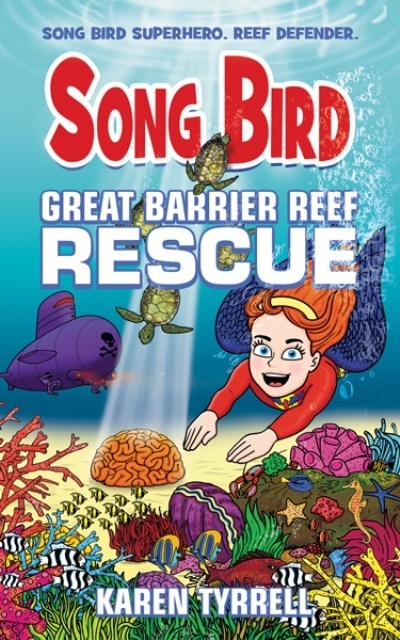 Songbird 4: Great Barrier Reef Rescue will be launched on Sunday May 5 at 11am at the Brisbane Square Library, End Room, top level, 266 George St, Brisbane City. Come and meet Karen and grab your copy of Songbird 4: Great Barrier Reef Rescue! Children (and grown-ups) are absolutely encouraged to dress up for the launch by wearing or being something aquatic, such as a mermaid, fish, shark, dolphin, turtle, etc. Bookings are essential. Please call Brisbane Square Library on 07 3403 4166 to reserve your place. If you're not able to attend the launch, you can still pre-order your copy of Songbird 4: Great Barrier Reef Rescue here. For more information on Songbird 4: Great Barrier Reef Rescue, visit Karen's webpage here. "It's surely our responsibility to do everything within our power to create a planet that provides a home not just for us, but for all life on earth." Why? 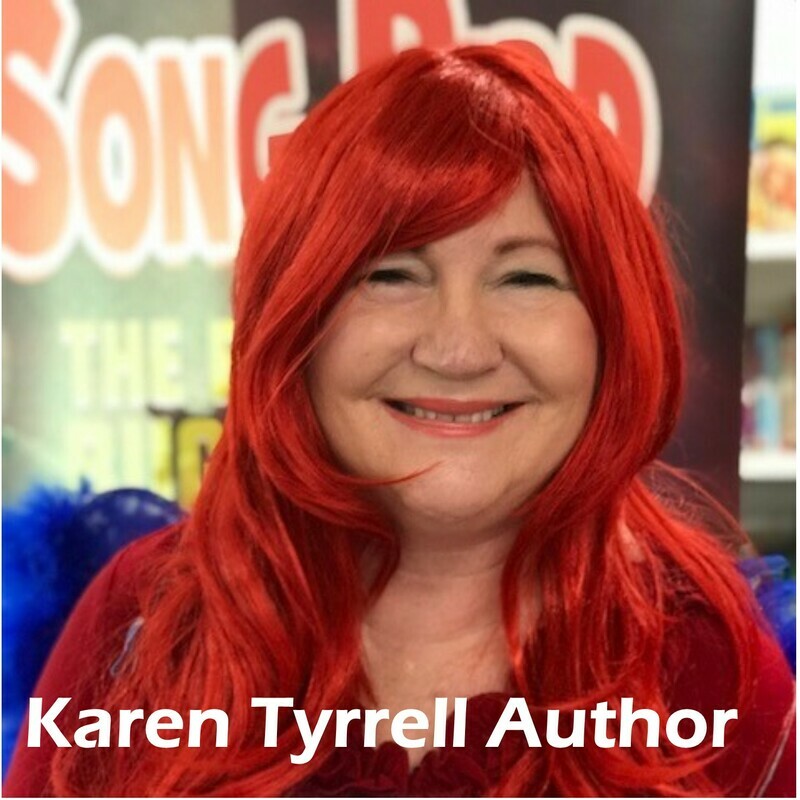 Meet award-winning Brisbane author Karen Tyrrell and the incredible Songbird! Karen Tyrrell's other children's books are also great - particularly the anti-bullying ones. Karen I was thinking of Stop the Bully but all your kids books are great. I thought Me and Him and Me and Her were both amazing. Don't stop writing! Thanks Belladonna and Weekend Notes for your awesome write-up on Great Barrier Reef Rescue. Can't wait to meet all the superhero kids and families at my launch on 5th May 10.40 am. Book your seat on 07 3403 4166.